Arabic music includes several genres and styles of music ranging from Arabic classical to Arabic pop music and from secular to sacred music. Arabic music whilst independent and very alive, has a long history of interaction with many other regional musical styles and genres. The development of Arabic music has deep roots in Arabic poetry dating back to the Pre-Islamic period known as Jahiliyyah. (period of ignorance) Though there is a lack of scientific study to definitively confirm the existence of Arabic music at those times, most historians agree that there existed distinct forms of music in the Arabian peninsula in the pre-Islamic period between the 5th and the 7th century AD. Arab poets of that time – called شعراء الجاهلية or “Jahili poets” which translates to “The poets of the period of ignorance” – used to recite poems with a high musical rhythm and tone. Two of the most important things all Arabic music has in common are a delight in improvisation, and the predominance of melodic forms. A melody is usually sung by a solo voice, which may also be accompanied by a choir. Polyphony, such as we are accustomed to in Western orchestral music, does not exist in classical Arabic music. Arab culture refers to the culture in the countries in which the official language is Arabic.The culture is divided into three main parts the urban culture(Al-Hadar), the rural culture(Al-Reef) and the Nomad culture(Al-Badow).Typically countries like Egypt,Iraq and many others are considered as rural culture while Saudi Arabia is considered as Badow (Bedouins). Arabic literature is the writing produced both prose and poetry, by the speakers of the Arabic language.There music much of it is characterized by an emphasis on melody and rhythm rather than harmony. 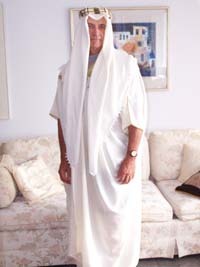 Men wear the dishdash( long white robe) and the headscarf(keffiyeh). 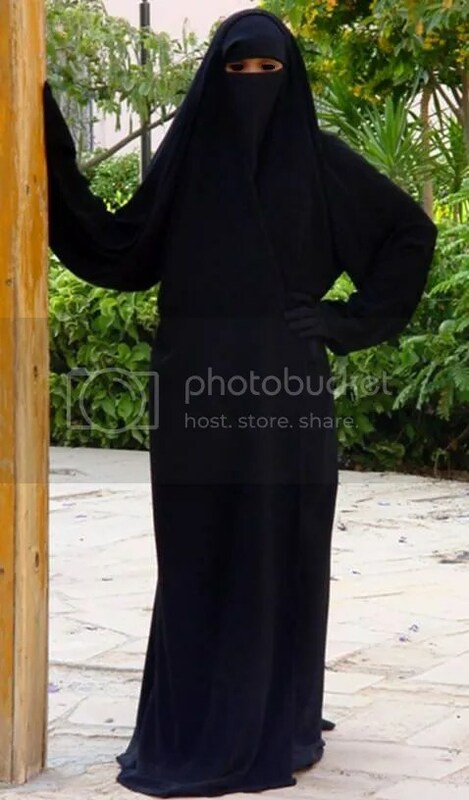 Women wear the Abaya(a long black robe) with a hijab( the head-scarf which covers the neck and part of the head).Some women may add a niqab which covers the mouth and the nose and only leaves the eyes exposed.Alternatively, some women pull their hijab over their faces so no part of their face is visible. Swahili culture is the Swahili people inhabiting the Swahili coast.The area they live are Tanzania,Kenya,Uganda and Mozambique. Kenya is located in East Africa and borders Somalia to the northeast, Ethiopia to the north, Sudan to the northwest, Uganda to the west, Tanzania to the south, and the Indian Ocean to the east. Tanzania ,formerly called Tanganyika,on the east cost of Africa is known as tropical beaches,great lakes,and huge game areas.There food is similar of that of Kenya and whenever a dish has a Swahili name,it invariably contains coconut and bananas. The bananas are used in meat stews as well as with fish and poultry. Ugali, the perennial cornmeal porridge, is the major staple food in Tanzania. Rice is also frequently eaten. Moreover when a dish is served in Tanzania home you must say “Jambo Hodi?” (Hello, may I come in?) you ask in Swahili as you enter and they reply “Karibu” (Draw near, you are welcome).To partake of the Tanzanian repast properly you need to be comfortably dressed, perhaps in slacks and a loose shirt, as you will sit on a mat on the floor in the home of your host. If you are an “honored” guest, as they say in Africa, your hostess has personally selected the duckling which she has cooked with coconut milk. There will also be a banana and meat stew, Ugali or rice or potato or perhaps all of these served in huge bowls, and also a vegetable dish like our braised cabbage. Some of these dishes will be cooked with coconut milk and some with groundnuts (peanuts). “The culture of Somalia is an amalgamation of traditions in Somalia that were developed independently and through interaction with neighbouring and far away civilizations, including other parts of Northeast Africa, the Arabian Peninsula, India, and Southeast Asia. Do not dress in Westernized clothing such as jeans and t-shirts, Somali men typically wear the macawis (ma’awiis), which is a sarong-like garment worn around the waist. On their heads, they often wrap a colorful turban or wear the koofiyad, an embroidered taqiyah. Due to Somalia’s proximity to and close ties with the Arabian Peninsula, many Somali men also wear the khamis (kamis in Somali), a long white garment common in the Arab world. During regular, day-to-day activities, women usually wear the guntiino, a long stretch of cloth tied over the shoulder and draped around the waist. The guntiino is traditionally made out of plain white fabric sometimes featuring decorative colors. This is one of my favorite places. Michele wants to go.